We had some trickier-to-get-to places we wanted to see in Bangkok – the Artists’ House, and Khlong Lad Mayom, for example. 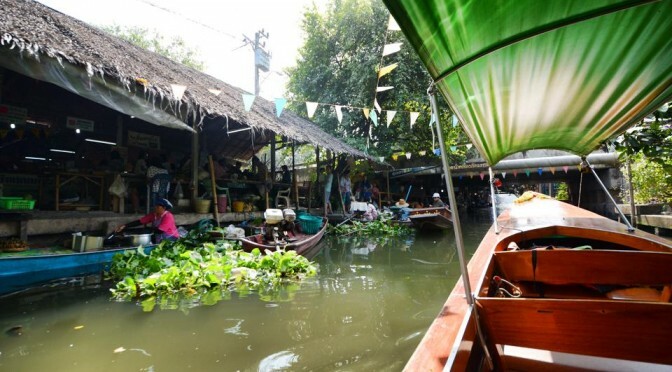 So on our third full day in Bangkok, we decided to hire a small teak boat to leisurely to head to these few places as well as explore the places along the route. We first met up with Nui, our guide, before taking a cab down from our hotel to the hidden off boat pier.